After removing your surf and turf dinner from the oven, make sure to save the delicious juices from the pan. Mixing the vegetables in with the juices or spooning the juices right over your plate, adds loads of flavor to every bite. You can also go all out and baste the meat and vegetables with their juices half way through baking. 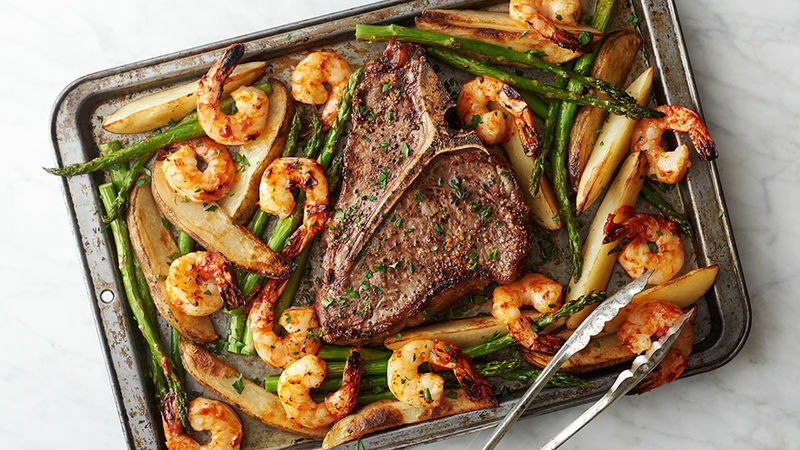 Speaking of going all out, we have other incredibly tasty sheet-pan recipes.